Bennington parent company Polaris had its "buy" rating downgraded today by B. Riley due to concerns about tariffs. U.S. stocks were expected to start lower today — after the worst four opening December days in a decade — as tariff concerns flared on Wall Street. Since 1950, the S&P 500 in December has risen three-fourths of the time, more often than any other month, according to The Wall Street Journal. The S&P 500 fell 4.6 percent for the week, its worst performance since March, which pushed it into the red for the year. Trade uncertainty, coupled with worries about slowing global growth and geopolitical tensions, have curbed risk appetite among investors in recent months, according to the WSJ. Those fears have spilled over to public companies that have stakes in the marine industry. Financial firm B. Riley downgraded the stock rating of Polaris Industries today following a 30 percent slide in shares in the preceding three months. B. Riley upgraded the company on Oct. 23, months after Polaris purchased four boat brands: Bennington, Godfrey, Hurricane and Rinker. Since then, Polaris has seen a 30 percent decline in shares versus 1 percent overall for the S&P 500, and a tariff situation that B. Riley deemed more accurately priced into the shares at the time. Wold also noted that one of Polaris’s competitors recreational vehicles outside the United States and therefore isn’t subject to the same commodity and tariff pressures. Marine Products Corp., builder of Chaparral and Robalo, was downgraded from buy to sell, and its price target reduced from $19 to $16. “We have entered an environment where investors may be unwilling to apply above-average multiples until there is stronger visibility into both economic trends heading into next year as well as underlying boat buying demand throughout the boat show season, with the key shows not held until late January and mid-February,” wrote Wold. 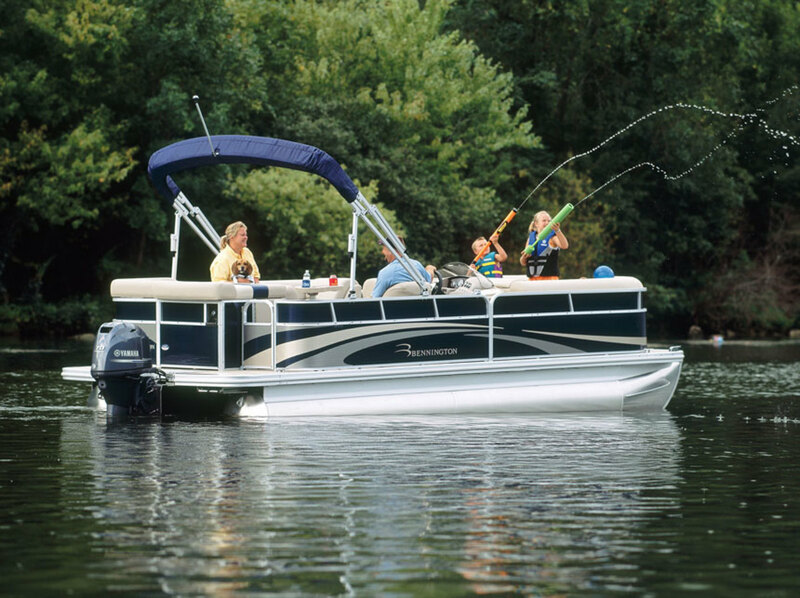 Though still positive on underlying boat-buying demand overall, the decision to buy a boat can change quickly and not all brands will likely be affected the same by market fluctuations, wrote Wold. “With the combination of stock market volatility in recent months along with the shift in control around the midterm elections and some mixed economic signals, we have to acknowledge that investor uncertainty levels heading into the 2019 selling year have more than likely increased recently,” wrote Wold. Although each stock in the recreational marine group has experienced solid gains in recent years, Marine Products shares have surged almost 500 percent from the recession lows, said Wold. They company’s valuation premium is now nearly triple the rest of the marine companies B. Riley covers. “We do not believe that level of a premium is warranted — especially heading into the heart of a critical boat show season — and are lowering the target multiple applied to our 2019 EBITDA estimate from 13 times to 11 times, or a 10 percent premium to our average target multiple for the rest of the group,” said Wold. Stocks opened to volatile, up-and-down trading on Monday, according to Investor&apos;s Business Daily.